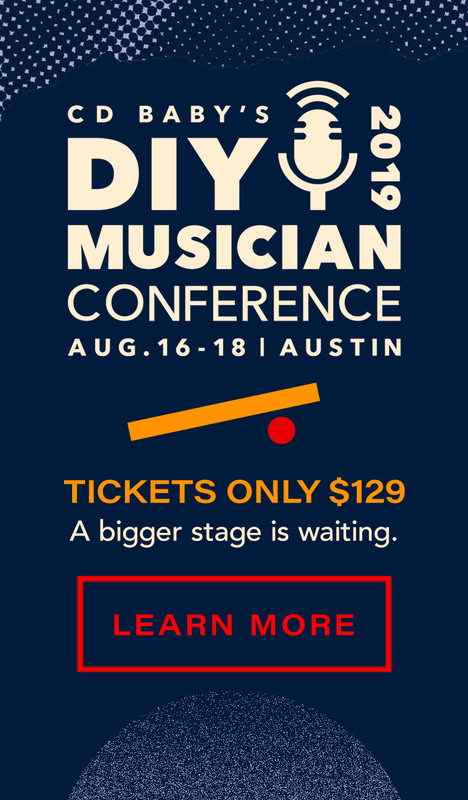 Want to play live at the DIY Musician Conference in Austin? 3 NIGHTS and 2 STAGES of live music opportunities at a great venue. Do you want to play at a sweet music venue in Austin, Texas? This year the DIY Musician Conference — happening August 16, 17, and 18 — will feature three nights of live music on two separate stages at a great place called Cheer Up Charlies. That means more performance opportunities than ever before. … you could have the chance to play in front of a huge supportive crowd of fellow musicians, reps from some of the biggest music brands, PLUS all your friends at CD Baby! We’d love to see you strut your stuff (and hear your tunes, of course). IMPORTANT: Early-bird ticket holders will have FIRST priority for these slots, and half of these limited tickets are already gone! For a limited time, tickets are just $99 for the whole weekend — but they’re going fast. Early-bird registrants will receive details via email when the submission portal opens up where you can apply to perform. We’ll send that info to you as soon as early-bird tickets sell out, so be on the lookout in the next month or so! You’ll also be first to get notified about any other conference opportunities that have limited-availability. In years past that’s included special recording and video-production sessions with Spotify and YouTube, tours of historic recording studios and poster printing workshops, and much more. So get your ticket to the DIY Musician Conference today!